I would like to sincerely thank Michael Talarico, and his team at Hilton Parkes Real Estate for their incredible result that they achieved in selling our house for us. On our first initial meeting with Michael and his team I was impressed by their professional attitude and their approach. They showed enthusiasm and passion for their job. Their dressing standard was very impressive and their knowledge of the market was excellent. Michael and his team have managed to sell our house at a great price and we are forever grateful, Hilton Parkes team have always kept us in the loop with all dealings and have gone that extra step in obtaining this outcome in the shortest period possible. We did try other real estates at first but Michaels firm shines well above the rest, I would extremely recommend his team to all sellers and buyers of real estate. I truly believe that Michaels team are the best around by a country mile. We have now moved on to our retirement and look forward to visiting Michael and the team from time to time, I feel like they are part of our family. So if you want to sell or buy any real estate then call Michael and his team at Hilton Parkes Real Estate located in Plumpton Marketplace. They are hardworking and honest in all their dealings and always keep in contact with you. I would like to take this opportunity to thank Michael and the staff at Hilton Parkes Real Estate Plumpton, for the time that was taken to sell my property Michael was professional and efficient throughout the sale process. Not only did Michael honor his fee, he got us a price higher than the listed price. Michael was approachable and helpful, answering questions promptly. After the property was sold, he ensured I was kept up to date throughout the processes with efficient professional service. Thank you for everything that you have done for my family, you were so patient and understanding and available when we needed you. It’s been an experience selling our first home and we are now excited to move into our dream home. 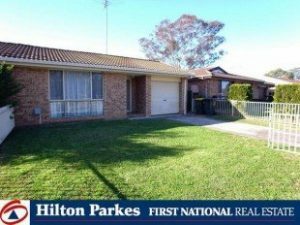 I would like to take a moment to thank the team at Hilton Parkes Real Estate for all of your help with the sale of our property. When we were looking around for an agent for our property, we spoke to several in the area, and got several different opinions on what price to place our house on the market for. Hilton Parkes Real Estate was the only agent we trusted and felt comfortable with, and he happened to give us a higher price (up to $20,000 more), than any other agent. We sold the house in less than three months for a fantastic figure, and it was exactly within the estimated range quoted. We felt that if we went with one of the other agents, and their lower price, we would have lost out on up to $15,000. 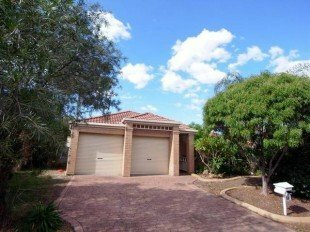 We thank you for everything you have done and would have no trouble in recommending Hilton Parkes Real Estate to anyone who is interested in selling their property. We would like to thank all the staff at Hilton Parkes Real Estate for all their help and direction during the purchase of our home. We were made to feel at ease throughout the entire process, as our phone calls and emails were always returned promptly and professionally. We wish to extend a special thank you to Kim Couper and Michael Talarico. To Kim, for going above and beyond and was always being willing to make herself available to us when we had questions or wanted to inspect a home. Kim took the time to listen to our needs & wants and found the perfect home for our family. However, we had a dilemma… In order to purchase our new home, we had to sell our current home. Michael approached us to offer some friendly advice on how we could not only purchase our dream home immediately, but also keep our current home as an investment property. It is obvious to see that Michael has extensive personal experience as an investor and that he truly is a numbers man, with the ability to think outside the square. Our first home is now managed by the Property Management Team at Hilton Parkes. The ladies in the department have been fantastic. Within 24 hours of listing our home, they had people ready to inspect and they were able to achieve a rental amount far greater than we expected. Upon leasing our home we received a copy of all the paperwork pertaining to the new tenancy and being first time investors, we were relieved to see that a very thorough inspection had been done prior to the tenant moving in. We love that there is always someone in the office to help with our queries, however if we need to leave a message, our phone calls and emails have always been returned promptly. 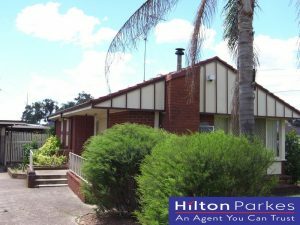 We would have no hesitation in recommending Hilton Parkes to anybody looking for a fantastic all round Real Estate Agent. They have always taken the time to really ‘hear’ us and they have exceeded all of our expectations. Once again, thank you to all the staff at Hilton Parkes for making our real estate experience a positive one. Just wanted to send a quick note as a big thank you to both you and your staff at Hilton Parkes Real Estate for the excellent service we have experienced through your office during the sale of our house. 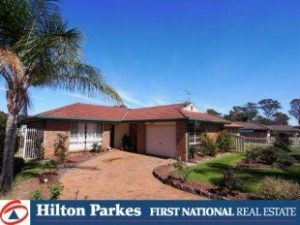 Hilton Parkes Real Estate always kept us up to date on what was happening, and the steady stream of potential buyers was amazing, he is a very patient, understanding and caring person and sales agent. I think it is important that you make your customers feel as reassured and comfortable as possible about the sale of their house, and that is a very strong point all of your staff displayed so well. You were all like a big extended family of ours, whom we respected highly. I would like to thank you all for your great service provided in the fast sale of our home. In our wildest dreams we did not imagine our home would have sold so fast at a premium price. I would not hesitate to recommend Hilton Parkes Real Estate to anyone who wants a professional and friendly service. I would like to extend my heartfelt gratitude to the staff at Hilton Parkes Real Estate. The recent sale of my property went smoothly and everything was done very professionally. It was a big decision for me to sell and I must admit I was quite hesitant though determined to follow through. 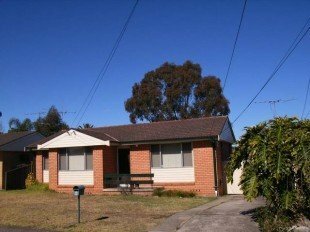 The property was an excellent investment over the 14 years I owned it, despite being an older home that needed some renovations. Once my decision was made Hilton Parkes Real Estate made the process easy, not only by finding a buyer who offered a realistic price, but always making me feel comfortable if I needed to drop by for any reason. The sales team at Hilton Parkes Real Estate was always straightforward and frank with me, which I appreciated. 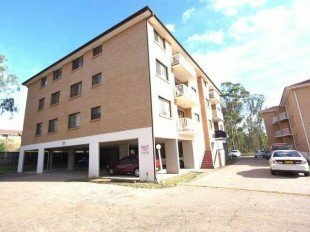 I would not hesitate in recommending Hilton Parkes Real Estate to others, and certainly will be in touch in the future concerning my other properties. This is just a short note to say thank you for the supreme effort that you put into selling our house. 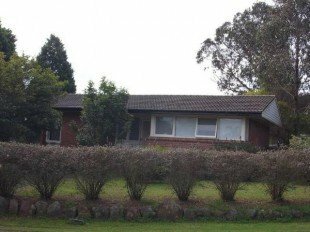 After many attempts previously at trying with other agents we had found HILTON PARKES PLUMPTON to have sold our house within 10 days of going on the market. We found that whatever was asked of Michael and his team was always done with a prompt and courteous service and anything that needed to be done was done promptly and efficiently. 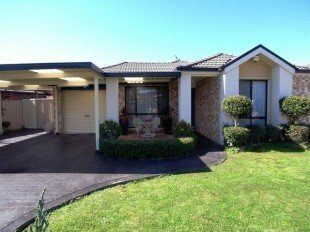 So in finishing I would like to say that I would recommend HILTON PARKES PLUMPTON as your choice in Real Estate Agents and I would like to sincerely that you for the effort you put in for us. 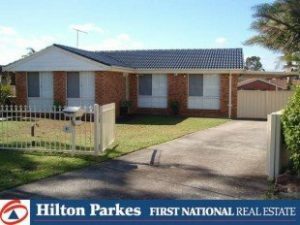 Recently, my wife and I purchased a property through our local Real Estate Agency, Hilton Parkes Real Estate at Plumpton. We were very fortunate enough to have Hilton Parkes Real Estate to assist us in this endeavor. Despite the many hardships that seemed to come our way during this time, we were always able to talk to the sales team at Hilton Parkes Real Estate. 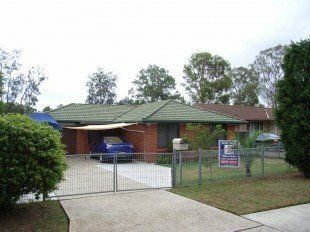 We would gladly recommend Hilton Parkes Real Estate to anyone without hesitation and as their dedication to our property made it a much easier task that it would have been otherwise. David & Karen Ward would like to thank all the staff at Hilton Park Real Estate Plumpton for all their help in selling our house at Dharruk. We had our ups and downs but you always kept us motivated to ensure our house was sold. We would also like to compliment all the staff at the real estate for being so courteous and friendly and always worked together to sell our house. We would definitely recommend you to anyone interested in selling or purchasing a property because of the high level of customer service and commitment dedication and time you give to your customers. 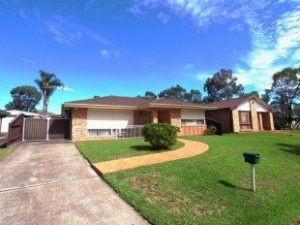 I would like to take this opportunity to thank Michael, Theresa and the staff at Hilton Parkes Real Estate for the professional service given to both Stephen and myself on the sale of our home. From the time our property was listed, the sales team had potential buyers through our home during the first weekend, we were also very impressed with the advertising exposure our home was given. Due to the fact that we also moved interstate during this time, we were very comfortable in leaving our home in your care. We did not have to wait long for a successful sale as the sale was priced correctly for the current market. We have since moved on with our “sea change” and are currently in the process of buying our new home in Cairns. Thank you again for your excellent service and friendship. 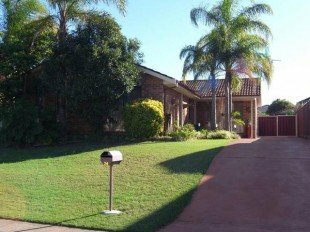 We would recommend Hilton Parkes Real Estate to anyone wishing to buy or sell property. We would like to take this opportunity to thank you for all the help, kindness and courtesy which was shown to us when we sold our home in Hebersham. Having lived in the same property for almost 32 years my husband and I had no idea where to being with regard to marketing our home. I can only say that from the outset we were extremely impressed by the professionalism, courtesy and kindness we experienced at the hands of your team. To find a team prepared to go out of their way to help us as much as your did was just incredible. I honestly did not believe that level of professionalism still existed and have not hesitated to recommend your services to everyone we know who is considering selling or buying a property. It remains an inadequate word to express our gratitude, but thank you all, very much. We wish to applaud the effort and time put in by Hilton Parkes Real Estate to sell our property with great efficiency and dedication. Not only were we constantly informed of what was happening regarding the sale of our property, but we were treat with respect and courtesy by the friendly staff and sales team. We wish to thank Hilton Parkes Real Estate and would not hesitate to use them in future sales of property. We would like to take this opportunity to sincerely thank you for all the hard work and dedication you, and your team at Hilton Parkes Real Estate displayed during the sale campaign of our Oakhurst property. As you are aware, we had seriously contemplated listing with another agent, whose fees were less than your, but decided against this, believing the old adage ‘ you get what you pay for’. At the time, we believed that your dedication and enthusiasm would be advantageous in the campaign to sell our home. We had not anticipated however, the amount of hard work and effort that you would put into selling our property, and we are now convinced that we made the right decision in choosing you and Hilton Parkes Real Estate. We are confident in recommending you to any future vendors and we wish you all the best for the future. Both my wife and I are more than impressed with the professional and dedicated service that you have provided to us in managing our property. As you know we have been with Hilton Parkes Real Estate for over 9 years and would not consider anyone else to manage our property. Thank you to you and your team for your support, advice and incredible service, which you continue to provide to us in managing our investment, we certainly appreciate it. Well done and again thank you. Just a small note to say many thanks for all your hard work in looking after our rental property in Hassall Grove. You did a wonderful, fully professional job in looking after the property and always keeping us fully advised of everything that we needed to know. 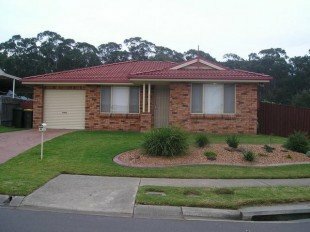 We were completely comfortable in having our property rented out by Hilton Parkes Real Estate in Plumpton and especially with it being managed by yourself. Being 2,000kms away from our property it is great peace of mind knowing that the property is being taken care of by such a team of professionals. We can always be sure that the requests of our tenants are being taken care of in a timely manner and the feedback we get regarding maintenance and upkeep is invaluable as we cannot just drive past and look at the property. The communication for Hilton Parkes Real Estate is always friendly and informative and nothing is ever too much trouble. Having the team at Hilton Parkes Real Estate look after our property means that there are no headaches involved in being a landlord. I would certainly not hesitate to recommend them or list any other properties with them. When I’ve lost all trust and confidence from my previous agent, the management team at Hilton Parkes Real Estate were more than happy to take me on board. They were very understanding of my situation and have worked side by side with me through some very challenging tasks. They were very experienced and knowledgeable in their field. I also find everyone on the team very pleasant to talk to, answered all my queries promptly, always courteous, well presented, and very professional. I would highly recommend the management team at Hilton Parkes Real Estate because of the high standard of service they have provided. Just a note to say a HUGE “THANK YOU” for your amazing work in selling our home (even in the economic slowdown of today). We were very impressed by your loyalty, punctuality and most of all the results. You were able to sell our place in 4 days and even get the possible price (much more than we anticipated). We trusted you completely with our biggest asset and you delivered with flying colours, the process was very smooth and communication was thorough, open and committed (never left us in the lurch). Gavin, your loyalty, punctuality and professionalism was very much appreciated. We are very glad to have chosen you and your team to look after us. I would like to say thank you to yourself and your team at Hilton Parkes Real Estate Plumpton for the quick sale of my property in Oakhurst and achieving the sale price I wanted. You have also been very helpful with the whole process also with answering all my questions on the sale of the property. I will be using yourself and the team in the future and recommending you to all my family and friends. Thank you for making the sale a smooth process and thank you for all your hard work. My husband and I had been thinking for quite some time whether to put our house on the market. 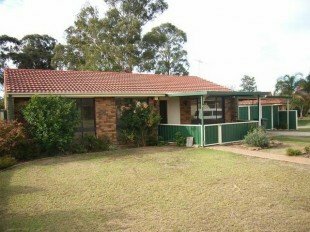 Then one afternoon we received a pamphlet from Hilton Parkes Real Estate and decided to see what our house was worth in today’s market. So we decided to give Hilton Parkes Real Estate a call and organise a market appraisal. They viewed our home and was honest from the start and told us what houses were going for in our area and also explained to us what we should and shouldn’t do to our home to put it on the market. At no time did we ever feel pressured to put our house on the market. They explained to us what we needed to do and all the fees involved in selling and buying a home. With this information we thought about what we wanted and we also went to other agents to see what they thought. We phoned the office back one week later and put our house on the market on a Friday. All the inspections were by appointment only on the Saturday so we did not have people looking for the sake of it. By Saturday afternoon our house was sold and we got our asking price which made us very happy. We were not expecting to sell our home that quickly. 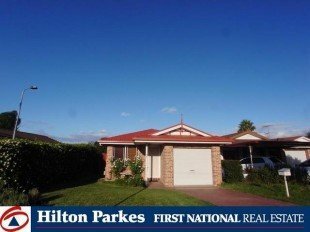 Hilton Parkes Real Estate kept us informed of what was happening at all times and if we had any questions or queries he happily answered them. 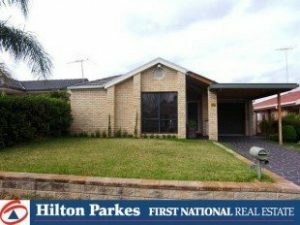 We would recommend Hilton Parkes Real Estate to anyone selling or buying a home and found them trustworthy, pleasant and professional at all times. We could not have asked for a better agent and we would like to thank them for everything they did and helping things to go as smoothly as possible. We would like to thank you for your professional approach while helping up to find a home. We felt that you listened to our concerns in an understanding and considerate way. 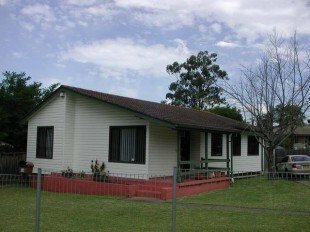 All our dealings with Hilton Parkes Real Estate were handeled in an honest and friendly manner. I wish all agents had your integrity and friendly nature. We would like to thank you very much for helping us to sell our first home. From the first appraisal meeting with you, right through to the settlement you have been great, with honest advise and excellent communication. We are very pleased you achieved the amount we wanted for the house, we are also very grateful for such a quick sale (ONLY 20 days on the market). We will certainly recommend you to anyone looking for a reputable and honest agent. Congratulations on an excellent job, with the sale of my property in Lethbridge Park. 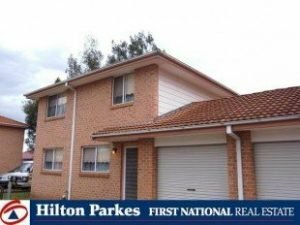 I would like to let you know that the service provided by Hilton Parkes Real Estate was very professional and every attention to detail was given, the sales team was always available to speak to me and answer my questions, and even put up with me through a few stressful moments. I would highly recommend Hilton Parkes Real Estate to anyone with regard to selling or buying a property. I was very impressed with the level of information I received from your office with regard to updates and advertising etc. I can assure you Hilton Parkes Real Estate have left me with a very good experience. We would like to express our deepest gratitude and appreciation for your professionalism and incredible service as our real estate agent. 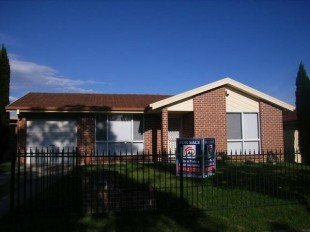 We truly made the right decision in choosing Hilton Parkes Real Estate to represent us in the property market for the sale of our house. Our experience of smooth and hassle-free process in selling our home, being our first time in the market, is amazing. You truly exceeded our expectations. We will not hesitate to refer you and Hilton Parkes Real Estate to our relatives and friends. We wish you much success in your endeavours. 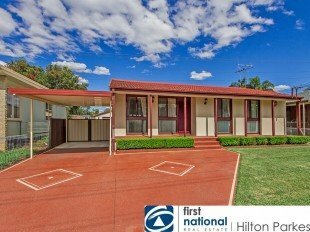 On behalf of my family I would like to personally thank you the sales team at Hilton Parkes Real Estate for your recent contribution on selling our property in Shalvey. This event could not have been successes without the help of your donated time. I do thank you again for taking the time to talk to us during and after the whole process of selling our property. I sincerely appreciate the time you spent reviewing our goals and recommending strategies for achieving them on specific period. Your advice was very helpful and gave us a new perspective on available selling opportunities. Any additional suggestions you offered on this issue was very constructive and we did welcome them with respect on you and your real estate agency. 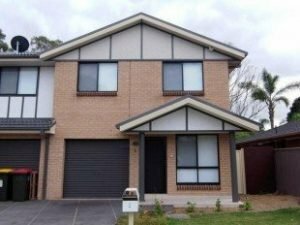 On your both a professional and personal skills appeared that you may have great ability to beat any other real estate agents in Western Sydney in near future. Again, thank you so much for your help. I greatly appreciate the assistance you have provided me. From the outset, the sales team worked diligently to find a buyer, taking 12 prospective purchasers through the property on the first weekend. I was kept me updated through all stages of the negotiations and I believe that the highest possible market price was achieved. 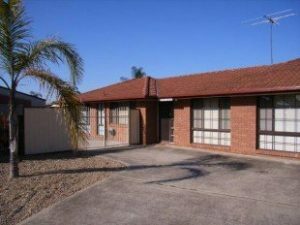 As this was an investment property that had been managed by Hilton Parkes Real Estate for a number of years, the sales team also required to negotiate mutually suitable access with the tenant via the Property Management Department. While I have the skills to sell the property myself, I did not have the time or direct access to buyers. I needed to find someone who would diligently represent my best interests and get me the best price. Why did I choose Hilton Parkes Real Estate? They turned up on time, was well mannered and took a great deal of time to listen to me. I also knew that the sales team participated in a continuing real estate education program that his Principal, Michael Talarico insists all his staff undertakes on a regular basis. Having group of trained negotiators represent me was not only important, but very reassuring. Most importantly though, Hilton Parkes Real Estate, relatable, trustworthy and proved beyond a doubt that he has a high level of integrity. In an industry where attitude of “sale at any cost” prevails, the sales team proved themselves worthy of my trust and I was glad that I appointed them as my agent. My Advice to anyone wanting to sell their home is to Hilton Parkes Real Estate and feel safe in the knowledge that the team at Hilton Parkes Real Estate will negotiate the best sale price. 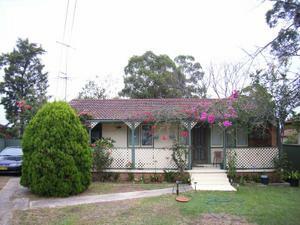 I am very happy with the outcome of the sale of my investment property. I am writing this letter to you to thank you so much in your help in selling our property in Colyton. As I have mentioned to you before we had our property listed with Raine and Horne St Marys for 4 months and we had a few inspections on the property but never any luck with them as they could not do there job as well as you. When I first Rang Hilton Parkes Real Estate to inquire about selling the property through your agency, My details were taken and was called back almost immediately, After our conversation on the phone you came to see us and the property, I knew you were the man for the job, As the way you approached the situation at hand and by the way you were speaking, I said to myself this guy is the man that will sell the property. 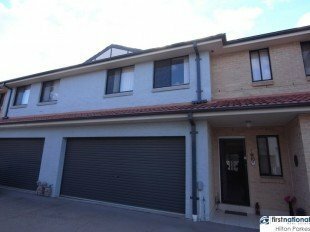 Within 24 hours you brang the sales team to inspect and the property went on the market, It was on the market for only 19 Days, Not only did you sell the property so quick but you managed to get me $10,000 more than my asking price. On behalf of my family and myself I would like to thank you for all the hard work and dedication you put into the task at hand. I strongly recommend you to anyone buying or selling a property. The next time I buy or sell I would most definitely be contacting you. Once again Thank you so much, I cannot put into words how grateful we are. You are worth your weight in gold. Just a quick note to say thank you for all of your help with selling our home. We were very pleased with the service your firm provided and are very happy with the price we achieved. 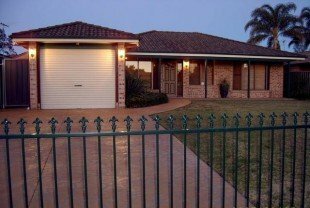 we also found the services provided to be very professional and would have no hesitation in recommending Hilton Parkes Real Estate to others. As this was our first home and we had never sold a property before we were happy with the way you helped us and answered all our questions and made the whole process easy during what for us was a very daunting time. We wanted a silent sale, after having another agent out who wanted big bold advertising and open homes (which we did not want). He even quoted a lower price for a quick sale. I gave Hilton Parkes Real Estate a call as I got letter saying that they had a buyer who wanted to buy in the area. Hilton Parkes Real Estate came out and promised to do what we asked (ie to sell our home without advertising and for a good price). They did just that! 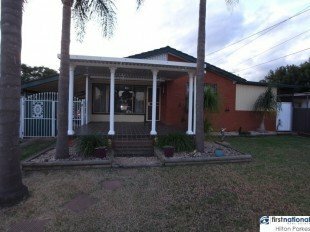 Within three days my property was sold for $10,000 above the guarantee and $15,000 more than the other agent quoted price. I would like to thank Michael and the team at Hilton Parkes Real Estate for all the help they have given us. 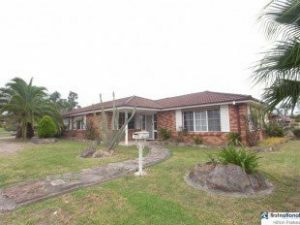 We would recommend Hilton Parkes Real Estate to anybody who wants to buy or sell a property. The sales team were very professional throughout the entire sale process and was available at all times to answer any query about the sale. They went beyond the call of what was ordinarily expected of a sales team. During difficult negotiations they maintained a cool head and took steps that ensured the property reached its full market potential. The happy “can do” demeanour ensured that everyone was kept informed at all times. 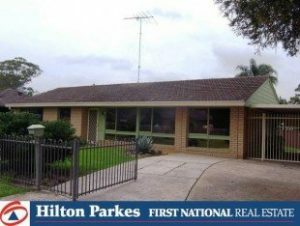 Hilton Parkes Real Estate did an outstanding job and I would not hesitate to recommend them to anyone thinking of selling a property. 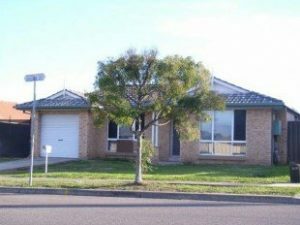 We would like to thank the team at Hilton Parkes Real Estate on the excellent job at selling our house which was on the market for only 1 month. After having 2 other local real estate agents come out, we decided to go with Hilton Parkes Real Estate because of their professionalism and down to earth nature. The guarantee of a minimum price gave us confidence and showed us his understanding of the current market. The team were very friendly and we feel they worked hard to sell our house. They were very easy to contact. They often contacted us after hours and on their days off if necessary. I would recommend Hilton Parkes Real Estate to anyone wanting to sell and I have no hesitation in using them again to represent us on the market in the future. 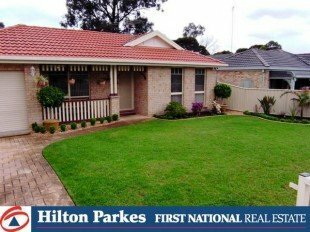 We recently enlisted the services of Hilton Parkes Real Estate at Plumpton to help us sell our home. We are grateful for the services of the sales team. They were professional & always prepared to go beyond the duties in helping us to sell our home, always returning our calls. We are delighted with the ability at showing & being able to sell our house at a price we are amazed with. We must note that our house sold within 1 week after being put on the market at a record price for the area. 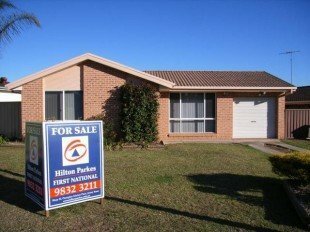 We would have no doubt in recommending Hilton Parkes Real Estate to anyone interested in selling their property as a capable, efficient & reliable salespeople. 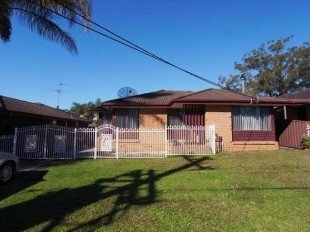 I would like to take this opportunity to the team at Hilton Parkes Real Estate in assisting with the selling of my parent’s house on 13 Simms Road, Oakhurst. The house was sold within a month of advertising and within the price range that we were expecting. I was very impressed with the professionalism towards this contract. 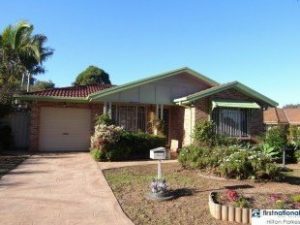 As I am living in Newcastle, it was difficult and time-consuming to go up and down the coast to help my mum with the selling of the property. 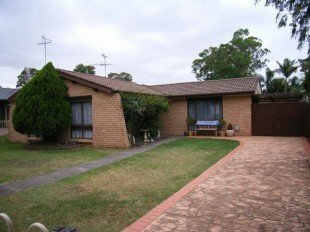 The team had kept me in the loop and assisted her during the sale of this property which was very much appreciated by both my mum and myself. Thank you again for your excellent service. 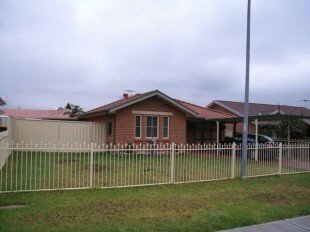 I would recommend Hilton Parkes Real Estate to anyone wishing to buy or sell the property. I would like to thank the team at Hilton Parkes Real Estate for all their efforts in assisting me to sell my home in Dharruk. After living in the home and the area for over 30 years it was a very emotional decision for me to sell my home. After being with another agent without much success prior to selling with Hilton Parkes Real Estate, I would highly recommend Hilton Parkes Real Estate to anyone who wishes to sell their home. They really took the time to listen to me during this emotional time and to assist with any questions that I had in regards to the whole sale process and gave a high quality of professionalism. Thank you once again for all the help and assistance for the sale of my home. 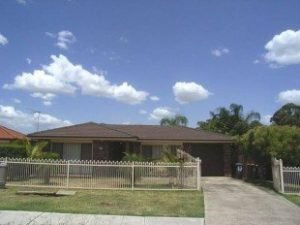 I wish to thank and commend the sales team at Hilton Parkes Real Estate on the excellent job that was done in selling my home in Bidwill. The sale process was very quick, at a price that was acceptable and at all times the sale team was very amiable and always willing to give advice. As first time vendors we have appreciated the work and guidance provided to us by Hilton Parkes Real Estate. Making the decision to move after spending 10 years in one place can be daunting as there appear to be so many tricks and traps involved with Real Estate these days. From our research we had reached the conclusion that using the auction process was not the method we preferred the sales team was able to articulate the private sale approach and address any concerns we had, thus enhancing our understanding of it. We found Hilton Parkes Real Estate to be sincere, listening to and accepting of our input whilst the guarantees offered were genuine. 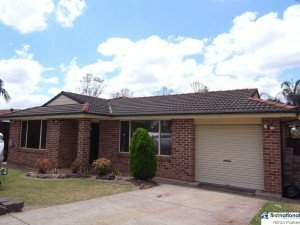 Once we gave the go ahead Hilton Parkes Real Estate swiftly sprang into action and before we knew it there were a number of private inspections by people who were serious about buying our house. Clearly the marketing, researching and negotiating resources of the company were very effective as our house was sold within a few weeks of the board going up! 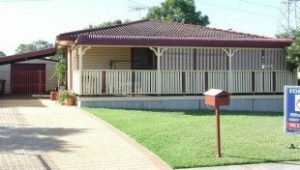 Thanks to the sales team of the Hilton Parkes Real Estate team for their excellent assistance in achieving the speedy and satisfactory sale of our house. We are happy to confidently recommend them to others who are planning to sell their property. I am writing to express our sincere thanks and gratitude for the recent sale of our property in Plumpton. From our very first meeting, Katie and I were very impressed with their attitude, honesty and enthusiasm to market and sell our property. After the disappointment of not selling our property some 4 years earlier it was refreshing for us to see a different kind of real estate agent. 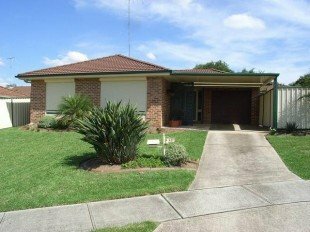 Hilton Parkes Real Estate has the willingness to be available to us almost 24/7 and your wisdom, advice and counsel during the time that our property was on the market and even after our property was sold you were extremely helpful and beneficial to us both. Katie and I were very delighted with our sale price and even more because of the accuracy of your prediction at our first meeting. It was a pleasure to have met you and Katie and I wish you all the very best for the future and would be delighted and have no hesitation in recommending you to anyone requiring a real estate agent in the future. I have recently sold my property in Plumpton through Hilton Parkes Real Estate, Shop 43 Plumpton. The property came on the market and a contract being locked in 3 week later, which was my home for 12 years I have been considering updating for a while, finally I found the property to suit my needs, after considering my options and shopping around with other agents I decided to sell my property through Hilton Parkes Real Estate. 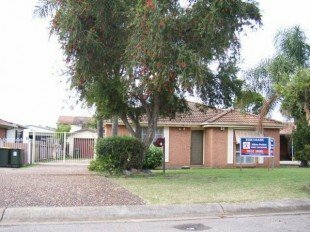 The team at Hilton Parkes Real Estate also assisted me with my contract and all my selling needs, whom was very honest, very polite and friendly from the start, I believe it is very important to have a team you can depend on and trust. After meeting and talking with the sales team I was more than confident I had made the right decision, after only a few days on the market with lots of interest and offers I eventually had an offer which I could not refuse, with the price I was more than pleased with, all I had to do was pack. I’d like to thank the whole of Hilton Parkes Real Estate as team for their honest, friendly, professional and reliable efforts and I would not hesitate to purchase or sell another property through Hilton Parkes Real Estate again as the whole settlement went as smoothly. 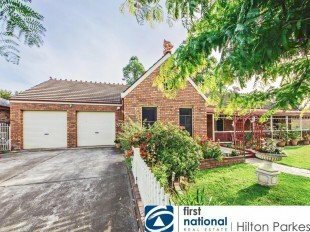 I highly recommend to anyone Hilton Parkes Real Estate at Plumpton if you are considering in buying or selling as you will not be disappointed with the end result. 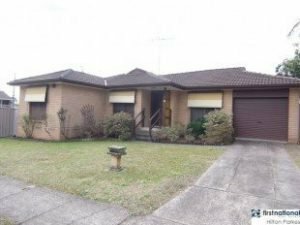 I just wanted to thank the team at Hilton Parkes Real Estate for the sale of my property in Mt Druitt, I was very comfortable having Hilton Parkes Real Estate looking after my property. The transaction of the sale of my home was very smooth as I was kept informed at all times during the sale of my home. 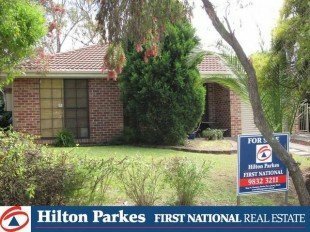 I have no hesitation in recommending Hilton Parkes Real Estate to anyone thinking of selling their home. I would personally like to thank the team at Hilton Parkes Real Estate for the excellent service and professionalism you showed during the sale of my home in Hassall Grove. From our initial meeting I felt comfortable knowing the sale of my home was in good hands. I am very pleased with the speed in which you sold my home. As soon as the ‘For Sale’ sign went up, the sales team continuously brought prospective buyers through the door. I was also pleased with the constant updates and honest feedback given to me throughout the sale process through to settlement. The regular communication put my mind at ease during a very anxious time. I appreciate you taking the time to listen to my requirements and the empathy and understanding that was showed to me from the team of Hilton Parkes Real Estate. Thank you again for the constant efforts during the sale of my home. I would not hesitate in recommending Hilton Parkes Real Estate to anyone wanting to sell their home. 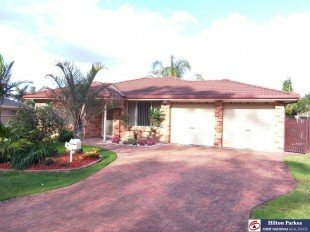 I would like to personally thank the team at Hilton Parkes Real Estate for the assistance that was given to us during the recent sale of our home that was on the market for 20 days before it was sold. The sale would not of been a success without the help and time that Hilton Parkes Real Estate gave us. I thank you again for the time you took to talk to us throughout the process of selling our home. I really appreciate the time you spent reviewing our goals and recommending strategies for our achievement. Your advice was always appreciated and your suggestions were constructive as it all helped us achieve the goal of selling our home. I would recommend Hilton Parkes Real Estate to anyone wanting to sell their home. 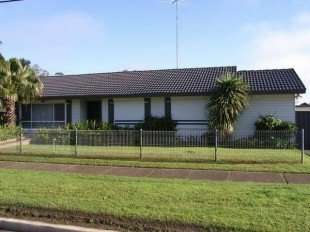 I would like to take this opportunity to thank Hilton Parkes Real Estate for assisting us with the sale of our home in Plumpton. Our home was sold within 6 days of being on the market and was sold for $24,000 above the guaranteed price. 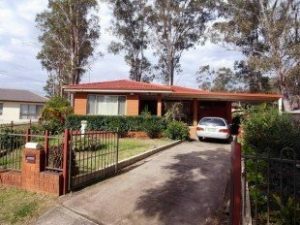 The sale of our home would not have gone smoothly if it was not for Hilton Parkes Real Estate they delivered a high quality of professionalism, they really listened to what we wanted to achieve from the sale of our home and they are willing to assist us with everything in regards to the sale of our home and our dreams of moving interstate. Not only deliver a quick sale, but it was hassle free. I would highly recommend Hilton Parkes Real Estate to anyone wishing to sell their home. would like to thank Mr Jimmy Singh and the team at Hilton Parkes Real Estate, Plumpton for helping me sell my home. Jimmy was very professional and supportive and made what would have been a traumatic experience run smoothly and at ease. Before I chose an Agent Jimmy’s Professional approach was commendable. He gave me reading material so I could make an informed decision and avoid being ripped off! 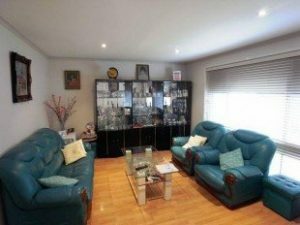 Jimmy was sensitive, caring and his enthusiasm allowed me to feel confident in preparing my house for sale “at best as possible for this competitive market.” When showing would be buyers I did not feel that people were intruding. He was confident and coolly professional but knew he Value of the Property such, that as a seller I knew he would not “GIVE” my property away. The quality of service and presentation of advertising of my property was fantastic and I feel added to the quick sale of my home. We really appreciate the work that the staff at Hilton Parkes Real Estate have done. In regards to selling our place in Rooty Hill, but also managing the property while it was leased for many years. 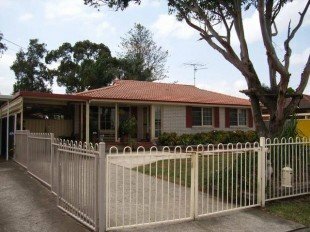 Living in Brisbane and being far away from Rooty Hill, we always felt that the property was in good hands. I have found Mr Singh to be polite, punctual and professional in all his dealings with me and my family. When I asked Mr Singh for advice on improvements which might be made to the property being sold, his advice was excellent. It showed that he had a great idea about what the market wanted. Mr Singh’s estimate of the price the property would achieve was excellent as the house sold very close to the highest price stated. The property sold quickly as he predicted. I am very happy with the result of the sale. Mr Singh advised me of the processes that I had to go through before, during and after the sale of the property. Communication through all stages of the sale was extremely helpful. I am very happy to give this reference and thank Mr Singh for his exceptional effort and result. We would like to thank Jimmy Singh on the outstanding work he has performed in selling our property. Jimmy sold our home within the 1st week of it being on the market. Jimmy was able to get the price we were asking for and also provided up with professional, helpful and courteous advice at all times. We would like to personally thank Jimmy for his time and effort in the service that he provided to us in selling our home. Just a short note of thanks for the way you’ve handled the sale of my home. I’m full of admiration of everything you’ve done and I’m so lucky to of met you. Everyone told me I should have spoken with 2 different salespeople. But even the first day we spoke I just knew I could trust you and that you were the one to help me. I wish you good luck for the rest of your working years. 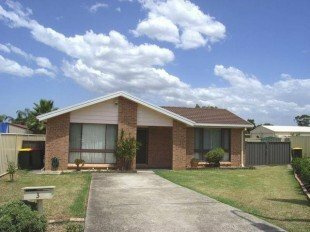 Hilton Parkes Real Estate is very professional who understood our situation was prepared to get a great result. The office is well located with great buyer exposure. Would recommend Hilton Parkes Real Estate to anyone looking to sell.